We make these throughout the year, but they are a big part of our Thanksgiving Feast. Click here for my full Thanksgiving overview and schedule. The picture here is our first readers-submitted picture (thanks Heather), where Principalchef Sprouts are featured next to a perfectly done flank steak. Nice work Heather, and thanks for using the site! 2Place washed, cut, and split sprouts in large bowl. Add Olive Oil, toss, and coat. 3Spread on baking sheet. Sprinkle spices over them. 4Bake for 20 minutes or until browned. Turn at least once while baking. Taste for salt to see if you need more. 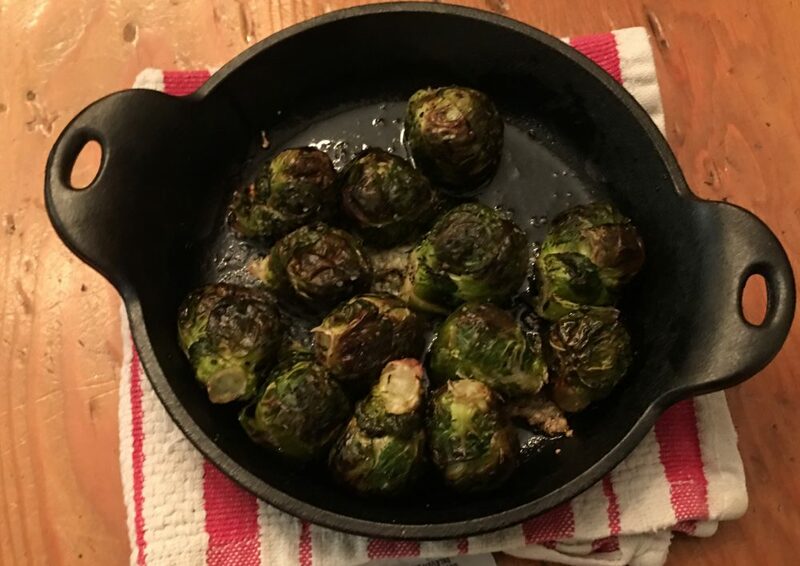 (I treat the sprouts like french fries - they're pretty darn good with a good dose of salt). 5See note below if you want to increase taste while reducing healthiness. I recommend it! I did that here in these very cool Lodge Cast Iron Mini pans that Dawson gave me for Christmas! 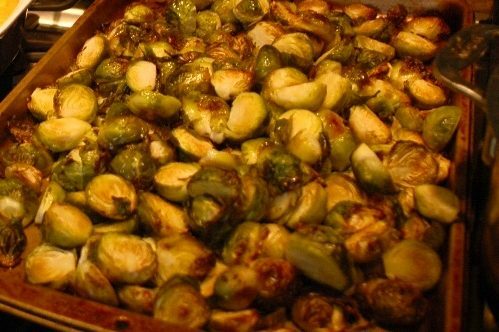 At the Tin Roof Bistro in Manhattan Beach, one of the biggest sellers is their Brussels sprouts. I think they roast them first, then they do what all great restaurants do - add butter and garlic! It is really, really, good. Add roasted sprouts, toss, and heat, and you will be the new Brussels sprouts royalty in the neighborhood. Seriously, better than Tin Roof. Followed your advice and simmered in a bath of melted butter & minced garlic (w/a squeeze of lemon) … perfection!